WASHINGTON, D.C. – As the National Association of Regulatory Utility Commissioners (NARUC) prepares to begin work on electricity rate design at its Feb 14-17winter meeting, a new report from Consumers Union examines how many utilities across the country are pushing to raise mandatory “fixed” charges on electricity bills. The report describes how these charges can harm consumers, especially low-use and low-income consumers, undermine incentives for energy efficiency, and increase electric system costs. Consumers Union is the public policy and advocacy division of Consumer Reports. 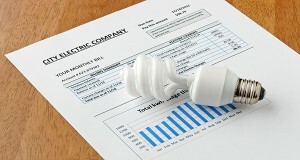 Conducted by Synapse Energy Economics, Inc. for Consumers Union, the report “Caught in a Fix: The Problem with Fixed Charges for Electricity” finds considerable ongoing efforts by utilities in the past year to push for fixed-fee hikes, even with a recent national trend among utility regulators against mandatory fixed fees. Low-usage and low-income customers are hit hardest by mandatory fixed fee hikes. Analysis of the impact of a $16 per month fixed fee increase with a corresponding decrease in the energy usage rate – similar to Kansas City Power & Light’s recently proposed rate design – would significantly raise monthly electric bills for many customers. A home using 1,000 kilowatt-hours a month would have 4% higher electric bill, and a home using 500 kWh/mo would be hit with a 17% higher bill. According to the report’s analysis of Energy Information Administration data, low electricity users tend to also be low-income customers: in nearly every region most low-income customers consume less energy than the typical residential customer. Utilities keep pushing for increases in fixed charges, even as utilities commissions often steer away from them. Analysis of 51 proposals by utilities to increase fixed charges decided between September 2014 and November 2015 finds that 41% were rejected in full, 33% were scaled back and 25.5% were approved as proposed. About 25 fixed fee proposals are pending currently. For most utilities, there is no need for increased fixed charges, the report recommends. Regulators who decide there is a need to increase utility revenues should consider alternatives to increased fixed charges, such as minimum bills and time‐of‐use rates. Fixed charges reduce customer control. Since customers must pay the fixed charge regardless of how much electricity they consume or generate, the fixed charges reduce the ability of customers to lower their bills by consuming less energy. Reduced incentives for energy efficiency and distributed generation can raise costs for all consumers. Increasing the flat charge portion of the bill instead of the variable portion of the bill means that a consumer’s efforts to save energy may not translate into a lower electric bill, which reduces the incentive to invest in energy efficiency or distributed generation. With less incentive to save, customers may increase their energy consumption, and states would have to spend more to achieve the same levels of energy efficiency and clean energy. Where electricity demand rises, utilities will need to invest in new power plants, power lines, and substations, thereby raising electricity costs for all customers. Consumers Union will share copies of the report with members of NARUC at its winter meeting this month in Washington, D.C., and is delivering petitions from consumers urging their utility commissioners to reject higher fixed charges. A full copy of the report is available online here.